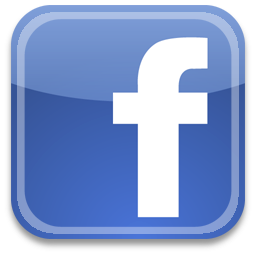 ﻿ Feige Filling Technology Asia Pacific Pte. 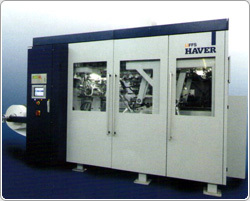 Ltd :: Pail Type 34 :: Feige Filling Technology Asia Pacific Pte. 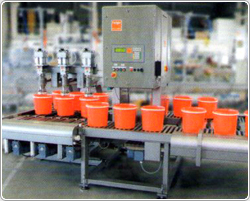 Ltd.
Automatic pail / can filling machine type 34. With a new generation of fillers for the filling of pails and cans from 2.5 kg to 30 kg with liquid and pasty products Feige revolutionises the field of filling machines. 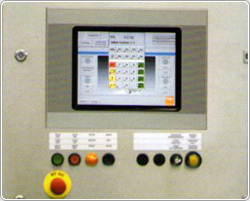 For the first time, Feige engineers succeeded in packing electric and pneumatic control in one common control cabinet. After installation and power supply has been put on, the machine is ready for use. Cable conduits and cable laying to remotely installed control cabinets can be spared. Depending on the product features and desired filling output the customer can chose between 2”, 3” or 6” pull-type or push-type filling valves. 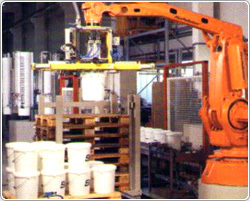 High output of up to 600 pails per hour (referred to 20 l pails) is realised through the Feige product flow control which helps to minimise the filling time in interaction with the product pump. The centrepiece is the scale electronics and the keypad where the operator can select the product and machine parameters for the dedicated product. 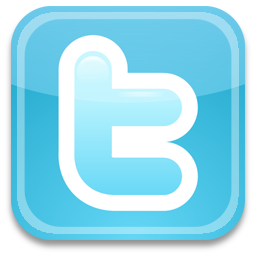 Up to 256 product data records can be stored. The whole “Plug & Fill“ filler is mounted on a frame ready for production. 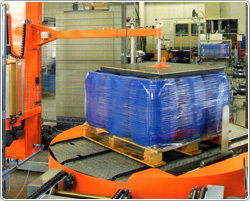 The filler is completely tested and will be supplied with the CE sign. 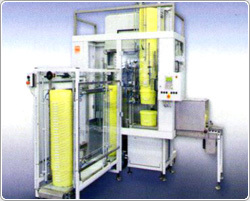 Moreover, this type of filling machine can be designed as per ATEX regulation for hazardous area application (zone 1). The customer does not have to care for extensive test procedures. 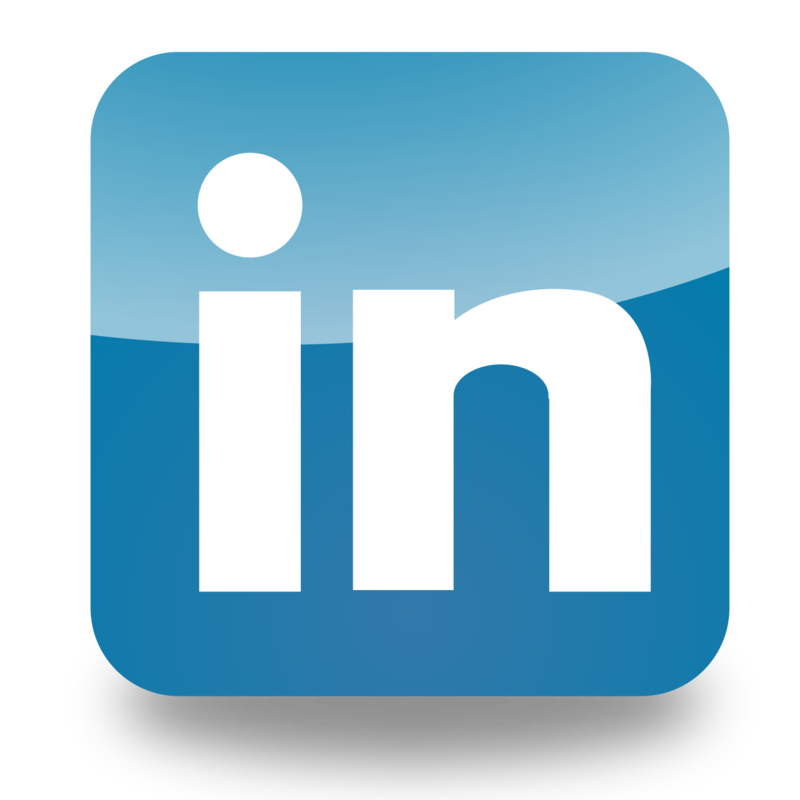 Installation and commissioning can easily be done on site. 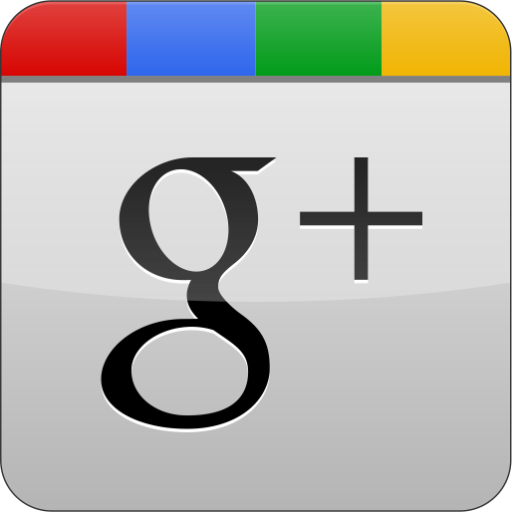 These measures help to save a whole lot of money, thus offering a true return on investment for the user-company. 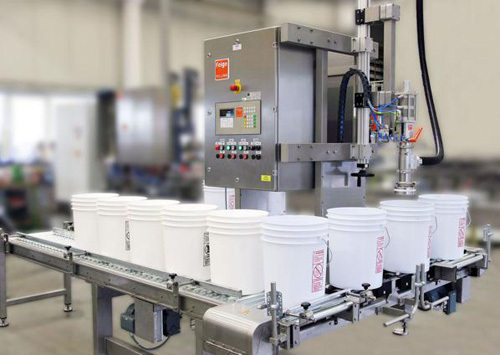 The filler type 34 “Plug & Fill” is remarkably variable and suited to most different pail and can sizes and products. 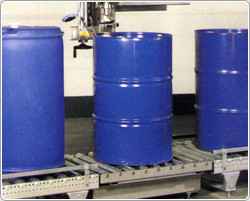 No matter what kind of pail or can is used, either plastic or metal, the customer can chose the appropriate accessory from the manufacturing programme of Feige. 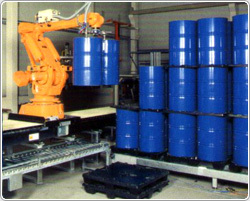 In combination with automatic feeding systems such as accumulation tables, pail denester, can stations, lid placer or capper this filler can be extended to a fully automatic packaging line.